Dr Michal Molcho is a Sociologist (Sociology of Health) and a Senior Lecturer in Children Studies and the Programme Director of the BA in Children Studies. Appointed in 2016, Dr Molcho is leading the development and expansion of this inter-disciplinary programme in the College of Arts. She is also the Vice Dean for Internationalisation, leading the internationalisation strategy in the College. 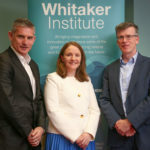 Previously she was a lecturer Health Promotion, National University of Ireland, Galway, and member of the Health Promotion Research Centre (HPRC) since 2005. Prior to joining the Department of Health Promotion, she worked in the Department of Sociology and Anthropology, Bar Ilan University, Ramat-Gan, Israel (1996-2004) as a researcher and later as an associate researcher and project director in the Research Program on Adolescent Health. Qualifications include B.A. in Criminology, M.A. in Sociology of Health and Ph.D. Sociology (2003). Teaching commitments include modules on the M.A. in Health Promotion, M.Sc. in Occupational Health, the Medical undergraduate programme (Professionalism) and the B.A. Connect with Children, and is course coordinator of the Postgraduate Diploma in Health Promotion delivered in Dublin and the acting director of the MA/Postgraduate Programme in Health Promotoin. Other relevant activities include: - Deputy Principal Investigator for Ireland with the WHO collaborative study, HBSC. Member of the International Coordinating Committee, Deputy Chair of the Scientific Development Group, the Methods Development Group and the Protocol Preparation Group for the 2009/10 & 2013/14 surveys, and chair of the Violence and Injury focus group of the HBSC network;- Consultant for WHO Region for Europe, the Violence and Injury Prevention Programme for the year of 2011;- Member of the steering committee of the Irish Child Safety Alliance. - Member of the adult Irish Survey of Life style and Nutrition (SLÁN) 2007 study consortium. (2007) State of the Nations Children. (2013) Social Care Ireland conference, Change, Challenge, Opportunity? (2013) Health Behaviour in School-aged Children (HBSC) Ireland 2010: Middle Childhood Study: Socio-demographic patterns in health behaviours, risk behaviours, health outcomes and social contexts of young people's health. (2017) Trends in Health Behaviours, Health Outcomes and Contextual Factors between 1998-2014: findings from the Irish Health Behaviour in School-aged Children Study. (2013) The HBSC Ireland Trends Report 1998-2010: Child Health Behaviours, Outcomes and Contexts. (2012) The Irish Health Behaviour in School-aged Children (HBSC) Study 2010. (2010) Health Behaviour in School-Aged Children (HBSC) study Protocol: Background, methodology and mandatory items for the 2009/10 Survey. Edinburgh: CAHRU & Vienna: LBIHPR. (2010) The socio-environmental context of child well-being and the involvement of children in the development of national set of well-being indicators. Socio-environmentally determined health inequities among children and adolescents. (2010) Ireland: the socio-environmental context of child well-being and the involvement of children in the development of a national set of well-being indicators. (2010) Fighting and bullying. In: C. Currie, R Griebler, J. Inchley, A. Theunissen, M. Molcho, O. Samdal, W. Dur (Eds. ), Health Behaviour in School-Aged Children (HBSC) study Protocol: Background, methodology and mandatory items for the 2009/10 Survey Pp 51-55. (2010) Injuries. In: C. Currie, R. Griebler, J. Inchley, A. Theunissen, M. Molcho, O. Samdal & W. Dur (Eds. ), Health Behaviour in School-Aged Children (HBSC) study Protocol: Background, methodology and mandatory items for the 2009/10 Survey.. Edinburgh: CAHRU & Vienna: LBIHPR. (2010) Fighting and bullying. In: Health Behaviour in School-Aged Children (HBSC) study Protocol: Background, methodology and mandatory items for the 2009/10 Survey. (2010) Injury and physical activity in context: findings from the HBSC study . Socio-environmentally determined health inequities among children and adolescents. (2010) State of the Nation's children: Ireland 2010 report. (2010) Health behaviour in school aged children: what do children want to know?. (2010) State of the nations Children: Ireland 2010. (2010) National Report -Health Behaviour in School-aged Children: What do children want to know?. (2009) Foreign-born children in Europe : an overview from the Health Behaviour in School-aged Children (HBSC) study. (2009) SLÁN 2007: Survey of Lifestyle, Attitudes and Nutrition in Ireland. Injuries in Ireland. Findings from national population survey. (2009) SLÁN 2007: Survey of Lifestyle , Attitudes and Nutrition in Ireland . Mental Health and Social Well-Being. Department of Health and Children. Dublin: The Stationery Office. (2009) Health Behaviour in School-aged Children (HBSC) Ireland 2006 Middle Childhood Study: Socio-demographic patterns in the health behaviours, risk behaviours, health outcomes and social contexts of young peoples health. (2009) Full variable report from the HBSC Ireland 2006 Middle Childhood survey. Report to the Office of the Minister for Children and Youth Affairs. (2009) SLÁN 2007: Survey of Lifestyle, Attitudes and Nutrition in Ireland. Injuries in Ireland: Findings from national population surveys. (2009) SLÁN 2007: Survey of Lifestyle, Attitudes and Nutrition in Ireland: Mental Health and Social Well-being Report. (2009) Health Behaviour in School-aged Children (HBSC) Ireland 2006 Middle Childhood Study: Socio-demographic patterns in health behaviours, risk behaviours, health outcomes and social contexts of young peoples health. (2009) SLÁN 2007: Survey of Lifestyle , Attitudes and Nutrition in Ireland . Mental Health and Social Well-Being. Department of Health and Children. (2009) Policy Brief: Foreign-born children in Europe: an overview from the Health Behaviour in School-aged Children (HBSC) study. (2008) Ireland: Social cohesion for mental well-being in adolescence. WHO/HBSC Forum 2007: Social Cohesion for Mental Well-being among Adolescents. (2008) Health Behaviour in School-aged Children (HBSC) Ireland study 2006: Socio-demographic patterns in the health behaviours, risk behaviours, health outcomes and social contexts of young peoples lives. HBSC 2006 Full Variable Report. (2008) HBSC 2006 Full Variable Report: Health Behaviour in School-aged Children (HBSC) Ireland study 2006: Socio-demographic patterns in the health behaviours~ risk behaviours~ health outcomes and social contexts of young peopleâs lives. Department of Health & Children~ Dublin. (2008) Inequalities in health among school-aged children in Ireland. (2008) Full variable report from the 2006 HBSC Ireland survey. (2008) Health Behaviour in School-aged Children (HBSC) Ireland 2006: Socio-demographic patterns in the health behaviours, risk behaviours, health outcomes and social contexts of young peoples lives. (2008) Ireland: social cohesion for mental wellbeing in adolescence. (2008) SLÁN 2007: Survey of Lifestyle, Attitudes and Nutrition in Ireland. Main Report. (2008) SLAN 2007: Suirbhe ar Nosanna Maireachtala, Dearcai agus Cothu in Eirinn: Priomhthuarascail. (2008) Inequalities in Health among School-aged Children in Ireland. Dublin:. (2008) Inequalities in health among school-aged children in Ireland. Dublin: Department of Health and Children. (2007) The Irish Health Behaviour in School-aged Children (HBSC) study 2006. (2007) State of the Nations Children Ireland 2006. Office of the Minister for Children. (2007) HBSC Ireland 2006: National Report of the 2006 Health Behaviour in School-aged Children in Ireland. (2004) Health Behaviors in School-Aged Children (HBSC) World Health Organization Cross-National Stud: Findings from the Third National Study. (2002) Health Behaviors in School-Aged Children (HBSC) World Health Organization Cross-National Study. (2011) AN EXPLORATORY STUDY OF WOMEN INVOLVED IN PROSTITUTION AND THEIR PSYCHOSOCIAL EXPERIENCES OF THE IRISH HEALTH CARE SERVICE. (2011) Weight concerns among boys in the Republic of Ireland. (2009) Inequalities in Health among School-Aged Children in Ireland. (2005) Predictors of positive health among Irish adolescents: Finding from the 2001/2 hbsc study. (2016) Bullying among post-primary children by ethnic status in Ireland. (2012) Health Behaviour in School-aged Children (HBSC) Study - What do children want to know? National Institute of Health Sciences Bulletin, 6(3), 39. (2008) Family and school relationships as predictors of tobacco, alcohol and cannabis use in Irish adolescents: differences between sustained and experimental substance use. (2008) Family, peer and school relationships as predictors of tobacco, alcohol and cannabis use in Irish adolescents: differences between sustained and experimental substance use. National Institute of Health Sciences Research Bulletin. (2008) Towards understanding food poverty among Irish Children. National Institute of Health Sciences Research Bulletin. (2008) Towards understanding food poverty among Irish Children. (2008) Cluster randomisation and design effects in school surveys: an exploration of the Irish Health Behaviours in School-aged Children data. (2008) Cluster randomisation and design effects in school surveys: an exploration of the Irish Health Behaviours in School-aged Children data. National Institute of Health Sciences Research Bulletin. (2008) Family structure and childrens eating patterns: secondary analysis of the Health Behaviour in School-aged Children (HBSC) study 2002. (2008) Family, peer and school relationships as predictors of tobacco, alcohol and cannabis use in Irish adolescents: differences between sustained and experimental substance use behaviour. (2008) Cluster randomisation and design effects in school surveys: an exploration of the Irish Health Behaviour in School-aged Children study. (2008) Towards understanding food poverty in adolescence. (2006) Health Behaviour in School-aged Children (HBSC): a World Health Organisation collaborative cross-national study. (2006) Health Behaviour in school-aged children (HBSC): A World Health Organisation collaborative cross-national study. National Institute of Health Sciences Research Bulletin. (2012) Participative Research Processes with schoolchildren: what do children want to know about health?. (2012) What children want to know about health, happiness and emotional wellbeing. (2010) Family factors and eating behaviour of schoolchildren.. IUHPE World Conference. (2010) Bullying behaviours among children with a disability or chronic illness and their peers: a cross-national study between Ireland and France.. IUHPE World Conference. (2010) Healthy eating and physical activity among Irish children. HEAL (Healthy Eating & Active Living) Launch, National Council of Ireland, Dublin. (2010) The role of men in fostering positive health among Irish boys. 14th Annual HPRC conference, Multidisciplinary Approaches to Promoting Men's Health, Galway. (2010) Perceptions of local area as predictors of injury and physical activity among schoolchildren in Ireland.. IUHPE World Conference. (2010) Bullying at school among disabled students and impact on self perceived health: A multilevel study across 11 western countries.. IUHPE World Conference. (2009) Bullying behaviours among children with and without disabilities and chronic illnesses: a comparison between Ireland and France.. Psychology, Health and Medicine, Annual Meeting of the Division of Health Psychology of the Psychological Society of Ireland. (2009) The socio-environmental context of child well-being in Ireland.. WHO/HBSC Forum. (2009) Foreign born children in Europe: findings from HBSC study. Third thematic workshop, AMAC Project, International Organization for Migration. (2009) Impact of bullying at school on self-perceived health among disabled students: a multilevel study in 13 western countries.. 13th Annual HPRC conference: Closing the Gap in Child and Adolescent Health: the Settings Approach. (2009) Family factors and schoolchildrens eating behaviour.. 13th Annual HPRC conference: Closing the Gap in Child and Adolescent Health: the Settings Approach. (2008) Food consumption and dietary behaviour of children from the Traveller community: data from the 2006 Health Behaviour in School-aged Children (HBSC) survey.. Nutrition Society Irish Section Meeting. (2008) Diet and related behaviour of children from disadvantaged schools in Ireland: data from the 2006 Health Behaviour in School-aged Children (HBSC) survey.. Nutrition Society Summer Meeting. (2008) A comparison of outcomes among children who report disability/chronic illness and their peers: data from 2006 Irish HBSC Study. Annual Scientific Meeting of the Health Behaviour in School-aged Children Network. (2008) Predictors of food poverty in adolescence: findings from the 2006 Irish HBSC study.. 8th European Conference of the International Union of Health Promotion and Education. (2008) Food behaviour of immigrant children in Ireland: data from the 2006 Health Behaviour in School-aged Children (HBSC) survey. 8th European Conference of the International Union of Health Promotion and Education. (2008) Family factors associated with childhood hunger: sources of social and economic inequality.. Health Promotion Summer Conference. (2008) Using relationships to predict levels of substance use among adolescents: differences between sustained and experimental use.. Psychology, Health and Medicine, Annual Conference of the Division of Health Psychology, PSI & BPS. (2008) Hunger as a predictor of violence in adolescence. Researching Childrens Worlds. (2008) Food and related behaviour of children from the Traveller community in Ireland.. Annual Scientific Meeting of the Health Behaviour in School-aged Children Network. (2008) Using relationships to determine levels of substance use among 15-17 year olds: 2006 Irish HBSC data.. Annual Scientific Meeting of the Health Behaviour in School-aged Children Network. (2008) Family factors associated with childhood hunger: sources of social and economic inequality.. The British Psychological Society Annual Conference. (2007) School perceptions as a predictor of high life satisfaction among Irish adolescents: Findings from the 2005/06 Health Behaviour in School-aged Children Study.. Psychology, Health and Medicine: the 4th Annual Conference of the Division of Health Psychology, Psychological Society of Ireland. (2007) Social capital perceptions as a predictor of high life satisfaction among Irish adolescents: from the 2005/06 Health Behaviour in School-aged Children Study.. Psychology, Health and Medicine: the 4th Annual Conference of the Division of Health Psychology, Psychological Society of Ireland. (2007) Alcohol in adolescence: Findings from the 2006 Irish HBSC study.. National Assembly of the National Youth Council of Ireland. (2007) Bullying and Disability: Findings from the 2006 Irish HBSC study.. National Disability Authority Research Conference. (2007) Can electronic communication between peers help to overcome the risks of time spent with peers?. National Institute of Medical Research (Epidemiology and Public Health). (2007) Age of smoking initation, risk behaviour and ill-health among youth.. 2007 National Conference on Tobacco or Health. (2007) Youth smoking in Ireland: before and after the smoking ban. 2007 National Conference on Tobacco or Health. (2007) Food poverty and risk for violent behaviours in adolescence.. 20th IUHPE World Conference on Health Promotion and Health Education Health Promotion Comes of Age: Research, Policy & Practice for the 21st Century. (2007) Trends in smoking behaviours in Irish adolescents.. 21st IUHPE World Conference on Health Promotion and Health Education Health Promotion Comes of Age: Research, Policy & Practice for the 21st Century. (2007) Socio-economic status, family affluence and parental occupation  can they predict adolescents health.. Annual Conference of the Sociological Association of Ireland. (2007) Food poverty and risk for injuries in adolescence.. 19th IUHPE World Conference on Health Promotion and Health Education Health Promotion Comes of Age: Research, Policy & Practice for the 21st Century. (2007) Face to Face and Electronic Communication in with peers in adolescence: associations with risk behaviours and well-being. 19th IUHPE World Conference on Health Promotion and Health Education. (2006) Sources of social support as predictors of positive health among Irish adolescents: findings from the 2002 HBSC study. Annual Conference of the Sociological Association of Ireland. (2006) Self-reported weight and height: response rates from Irish schoolchildren. Nutrition Society Annual Meeting: Nutrition and Health in Children and Adolescents. (2006) Face to face and electronic communication in adolescence: associations with risk behaviours and well-being. Annual Conference of the Psychological Society of Ireland. (2006) Exploring missing height and weight data for the Irish HBSC survey: a pilot study. Annual Scientific Meeting of the WHO-HBSC study. (2005) Food Poverty among Irish Adolescents (Abstract). Annual Scientific Meeting of the International HBSC Network. (2005) Food poverty among Irish Children. 13th Congress of European Union for School and University Health and Medicine, Dubrovnik. (2005) Food Poverty among Irish Adolescents (Abstract). Annual Scientific Meeting of the International HBSC Network, Gozo. (2005) Predictors of positive health among Irish adolescents: Findings from the 2002 HBSC Study (Abstract). European Health Psychology Conference. (2011) Dissemination to key stakeholders: Health Behaviour in School-aged Children (HBSC) Ireland. 15th Annual HPRC conference: Mainstreaming Health Promotion: Promoting health across sectors. (2009) 13th Annual HPRC conference: Closing the Gap in Child and Adolescent Health: the Settings Approach. (2009) Obesogenic environments: local area perceptions and physical activity levels in school aged children in Ireland. . 13th Annual HPRC conference: Closing the Gap in Child and Adolescent Health: the Settings Approach. (2009) Obesogenic environments: local area perceptions and physical activity in school aged children.. 13th Annual HPRC conference: Closing the Gap in Child and Adolescent Health: the Settings Approach. (2009) Face to face and electronic communication in adolescence: associations with risk behaviours and well-being.. 13th Annual HPRC conference: Closing the Gap in Child and Adolescent Health: the Settings Approach. (2011) Some thoughts about 'acceptable' and 'non-acceptable' childhood injuries. (2006) Food poverty among Irish schoolchildren. HBSC Ireland Research Factsheet. (2006) Food poverty among Irish schoolchildren. HBSC Ireland Research Factsheet No. 13. (2005) Smoking among Irish schoolchildren. HBSC Ireland Research Factsheet. (2005) Family structure among Irish schoolchildren. HBSC Ireland Research Factsheet No. 2. (2005) Family structure among Irish schoolchildren. HBSC Ireland Research Factsheet. (2005) Classmate relationships among Irish schoolchildren. HBSC Ireland Research Factsheet No. 4. (2005) Injuries among Irish schoolchildren. HBSC Ireland Research Factsheet. (2005) Classmate relationships among Irish schoolchildren. HBSC Ireland Research Factsheet. (2008) Food poverty: a different form of social inequality. Department of Health Promotion, School of Public Health, Tel Aviv University, Israel. (2008) Examining evidence over time to support planning for health. Population Health Education Seminar, SPSS, Dublin. (2009) Injuries in the community. Institute of Public Health in Ireland, Dublin. (2009) The socio-environmental context of child well-being in Ireland: the involvement of children in the development of a national set of well-being indicators.. Irish case study report to the WHO/HBSC forum on socio-environmental determinants of child health, Florence, Italy. (2009) Foreign-born children in Europe: an overview for the Health Behaviour in School-aged Children (HBSC) study.. Report to the International Organisation for Migration, Switzerland. (2009) SLÁN 2007: Survey of Lifestyle, Attitudes and Nutrition in Ireland. Injuries in Ireland: Findings from national population surveys. Department of Health and Children. Dublin: The Stationery Office. (2007) Smoking behaviour among Irish Schoolchildren. (2005) Smoking among Irish schoolchildren. HBSC Ireland Research Factsheet No. 1. (2005) Injuries among Irish schoolchildren. HBSC Ireland Research Factsheet No. 3. (2005) Data on Community Involvement and Perceptions from HBSC Ireland 2002. A short report to the National Children's Office. Health Promotion Research Cente, NUI, Galway. (2015) Involving children in the research process: experiences from the Health Promotion Research Centre NUIG. (2012) HBSC Ireland: alcohol consumption and cannabis use among schoolchildren in Ireland. Short report to the Health Research Board. Galway: Health Promotion Research Centre. (2012) HBSC Ireland: workshop to access young peoples opinions of the findings of the 2010 Health Behaviour of School-aged Children (HBSC) Survey. (2014) Learning about Middle Childhood: surveying health and well-being among nine year olds. (2012) Alcohol consumption and cannabis use among Irish schoolchildren. (2009) HBSC Ireland: age related patterns in alcohol consumption and cannabis use among Irish children between 1998-2006. Short report to the Health Research Board. (2008) HBSC Ireland: frequency of smoking behaviour in middle childhood and adolescence. Short Report to the Office of Tobacco Control, Ireland. (2008) HBSC Ireland: cannabis and volatile substance use between 1998 and 2006. Short Report to the Alcohol and Drug Research Unit of the Health Research Board, Ireland. (2008) HBSC Ireland: frequency of smoking behaviour in middle childhood and adolescence. Short Report to the Office of Tobacco Control. (2008) HBSC Ireland: Child well-being in Dublin City. Short Report to Dublin City Childrens Services Committee. (2008) HBSC Ireland: cannabis and volatile substance use between 1998-2006. Short Report to the Health Research Board. (2007) The Irish Health Behaviour in School-aged Children (HBSC) study 2006. Department of Health and Children. (2007) HBSC Ireland: bullying and disability among Irish Schoolchildren. National Disability Authority, Ireland. (2007) HBSC Ireland: smoking behaviour among Irish Schoolchildren. Short Report to the Office of Tobacco Control, Ireland. (2005) Data on Community Involvement and Perceptions from HBSC Ireland 2002. National Childrens Office, Department of Health and Children, Dublin. (2009) SLÁN 2009 Positive Mental Health in the Irish Adult population: Overview of the SLÁN 2007 Mental Health and Social Well-Being Survey . (2009) Overview of the SLÁN 2007 Mental Health and Social Well-Being Survey. (2009) A novel-measure of positive mental health based on the SF-36 Health Survey: Results from the SLÁN 2007 Mental Health and Social Well-Being Survey.